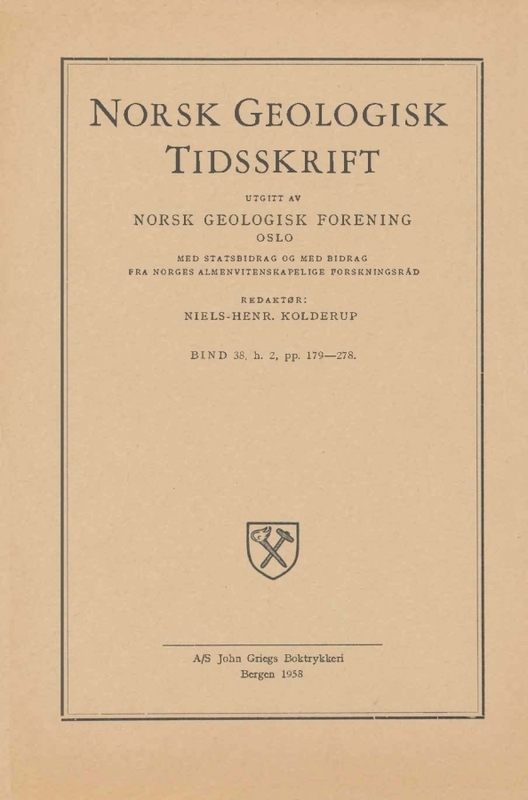 T. Barth (1944) some years ago called attention to associated lamprophyric and diabasic dikes west of Kristiansand on the coast of Norway. The lamprophyres occur as a rule as flatlying, slightly undulating dikes ranging up to 2 m in width. More steeply dipping sill-like intrusions are, however, not unusual.